Remember that invitation for a soak test that select Motorola XOOM owners received? Turns out it was really for testing the upcoming Android 4.1.1 Jelly Bean update, as we presumed. The latest and greatest version of Android should be coming soon to owners of Wi-Fi Motorola XOOM tablets in the U.S. bringing a great number of enhancements. Android 4.1.1, Jelly Bean Software Update for the Motorola XOOM™ WIFI in the U.S.
Introduction - We are pleased to announce a new software update for the Motorola XOOM™ WIFI in the US. This Android 4.1.1 (JRO03H) software update includes numerous enhancements. Upgrade today for peak performance. 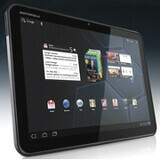 Who Can Use This Release - ALL Motorola XOOM U.S. WIFI users. Improved User Interface and Response - Android 4.1.1, Jelly Bean, is the fastest and smoothest version of Android yet. Moving between home screens and switching between apps is effortless, like turning pages in a book. Jelly Bean makes your Android device even more responsive by boosting your device’s CPU instantly when you touch the screen, and turns it down when you don’t need it to improve battery life. Expandable, Actionable Notifications - Now you can take action directly from the notifications shade. And because the notifications are expandable, you can get an even deeper look into the things that matter most, like multiple emails or photos on Google+. Widgets work like magic - With Jelly Bean it’s now even easier to personalize your home screen. As you place widgets on the screen, everything else automatically moves to make room. When they’re too big, widgets resize on their own. Interacting with your favorite apps and customizing your home screen has never been easier. Seamlessly view and share photos - Just swipe over from camera to filmstrip view to instantly view the photos you just took, and quickly swipe away the ones you don’t like. Now sharing--and bragging--are a breeze. A Smarter Keyboard - Android’s dictionaries are now more accurate, more relevant. The language model in Jelly Bean adapts over time, and the keyboard even guesses what the next word will be before you’ve started typing it. Improved Text-to-Speech Capability - With improved text-to-speech capabilities, voice typing on Android is even better; it works even when you don’t have a data connection. Accessibility - With Jelly Bean, blind users can use 'Gesture Mode' to reliably navigate the UI using touch and swipe gestures in combination with speech output. Jelly Bean also adds support for accessibility plugins to enable external Braille input and output devices via USB and Bluetooth. Voice Search - Android lets you search the web with your voice, and it’s convenient for getting quick answers on the fly. It speaks back to you and is powered by the Knowledge Graph, bringing you a precise answer if it knows it, and precisely ranked search results, so you can always find out more. A new look for Search - Android has search at its core. With Jelly Bean, a redesigned experience uses the power of the Knowledge Graph to show you search results in a richer way. It’s easier to quickly get answers and explore and browse search results. Now all that is left is for the Motorola XOOM Jelly Bean update to actually start rolling out. Anyone excited? Google already confirmed that around the time of Google I/O. Psyched for this update... I hope they roll it out to my Xoom WiFi before the end of this month (July)!! !